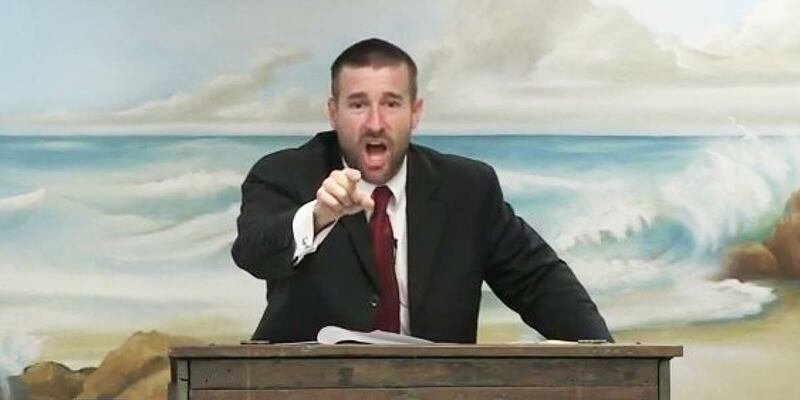 After being banned from South Africa, there are now efforts to also block kill-the-gays pastor Steven Anderson from preaching in Ireland. More than 5,000 people have signed a petition calling on the Government of Ireland to refuse to allow the hate preacher to enter the country. According to his church’s website, Anderson will embark on a short tour of Europe in May. He is scheduled to preach in Amsterdam, the Netherlands on May 23; in Dublin, Ireland on May 26; and in Stockholm, Sweden on May 29. “Steven Anderson is a Holocaust-denier, Islamophobe and anti-LGBT+ extremist,” reads the petition. It warns that during his visit to Dublin he is likely to try and change people’s minds on last year’s abortion referendum. “This petition is for the people to show that they want Pastor Steven Anderson banned from entering the Republic of Ireland,” said the campaign founder, William Jenkins. Anderson, who heads up the Faithful Word Baptist Church in Tempe, Arizona, has also urged his followers to pray that Caitlyn Jenner, whom he described as “a filthy sodomite,” dies and goes to hell. On 13 September 2016, then-Minister of Home Affairs Malusi Gigaba declared Anderson “a prohibited person in South Africa” after he was presented with a dossier of evidence and petitions signed by more than 60,000 people. The minister cited the protection of LGBTI people from discrimination in the Constitution and the Equality Act, which bans hate speech, as the basis for his decision. Despite this, South Africa’s own LGBTI hate pastor Oscar Bougardt, has vowed to open a church with Anderson in Cape Town and to allow him to preach in the country via Skype. Anderson was also thrown out of Botswana when he tried to start a church there, has been banned from entering the UK, Canada and Jamaica and was told that he is not welcome in Malawi.